To mark World MS Day and raise awareness of this disease, we're taking a look at the state of preclinical MS research and efforts to produce more translatable MS animal models. Multiple sclerosis (MS) is a progressive disease of the nervous system, one of the most common neurological disorders and causes of disability in young adults. MS affects 2.3 million people worldwide, including those affected by the disease and their caregivers. Most people with MS are diagnosed between the ages of 25 and 31, with approximately twice as many women diagnosed than men. The cause of MS is not known and there is no cure, though there are treatments available that can help alleviate symptoms from some forms of MS. Numerous symptoms affect people with MS including issues with the bladder and bowels, depression, vertigo, emotional, fatigue, itching, pain, sexual dysfunction, spasticity, tremors and walking difficulties1. While there is no cure for MS, there are over fifteen approved drugs for treating MS. These drugs fall into several broad categories, including interferon beta-1a, dimethyl fumarate, and three monoclonal antibodies. These drugs reduce the number of relapses, delay progression of disability, and limit new disease activity. There are at least eight off-label drug treatments for MS that show some success in reducing symptoms. Treatment for relapses includes high-dose corticosteroids, which reduce inflammation in the central nervous system (CNS). This regimen has no long-term effects on the disease, however. MS is a difficult disease to research for many reasons. The cause of MS is unknown, though it is generally believed to be a combination of genetic, immunological, and environmental factors. Because it often takes many years for someone to be diagnosed, and there are so many variables, it has been impossible to determine a specific cause or trigger. There is no single pattern to the disease, and the course of its progress is unpredictable. The number and position of lesions on a patient's central nervous system does not always correlate with their relapse occurrence or level of disability. There are no definitive tests for the disease. Challenge awards: Innovative research to improve understanding of genetic and biologic processes involved in progressive MS, improving clinical trials, and repurposing existing drugs. Collaborative network awards: Long-term, first-of-its kind multi-national projects stimulating research into the biggest questions facing MS scientists, like speeding up new treatments and the development of new trials. Toxin models, such as ethidium bromide (EB), lysophosphophatidylcholine (lysolecithin) (LPC), and cuprizone. These animal models have specific uses for modeling different phases and symptoms of MS. This chart summarizes those models and how they are used in research studies. *Glatiramer acetate, mitoxantrone, and natalizumab were developed in EAE model. Active immunization models are the most popular mouse models of multiple sclerosis. In the active immunization method, the mouse is immunized using neuro antigens, such as myelin antigens or spinal cord homogenate, which causes development of activated myelin-specific T cells, trafficking of immune cells into the CNS, and direct damage and inflammation in the CNS. Active immunization in Black 6 mice is suitable for compound profiling. Active immunization in SJL mice induces a relapsing/remitting disease phenotype. Antigens for EAE induction include myelin oligodendrocyte glycoprotein (MOG), myelin basic protein (MBP), proteolipid protein (PLP), and spinal cord homogenate. Most protocols call for the use of pertussis toxin (PTX), which increases both the incidence and severity of disease. Disease presents as ascending paralysis and the typical readout is clinical score. Histology may be used to visualize inflammation in the CNS. In the Abb KO/Tg HLA-DR4 mouse, the HLA-DR4 allele is associated with the development of autoimmune diseases, such as rheumatoid arthritis and multiple sclerosis. Immunization with a peptide from a proteolipid protein known to bind to HLA-DR4 provokes a strong T cell proliferative response, causing inflammatory lesions in CNS white matter and symptoms of experimental allergic encephalomyelitis (EAE). A review article by Kipp, 2016 "focuses on progressive experimental autoimmune encephalomyelitis (EAE) models and the cuprizone model [and] summarizes important recent advances in our understanding of the underlying pathology of the cuprizone model4." 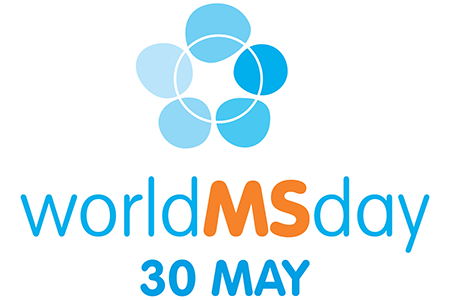 As you observe World MS Day, please consider those affected by this disease and our responsibility as scientists to use all diligence and tools available to improve treatments and work towards a cure for MS.
3. Silva, B. and Ferrari, C., Animal experimental models for understanding and treating Multiple Sclerosis. SMGroup, 2016. 4. Kipp, M., Nyamoya, S.,Hochstrasser, T. and Amor, S. Multiple sclerosis animal models: a clinical and histopathological perspective Brain Pathology, 2016, Volume 27, Issue 2.